Apparently there is gold in those wrecks. 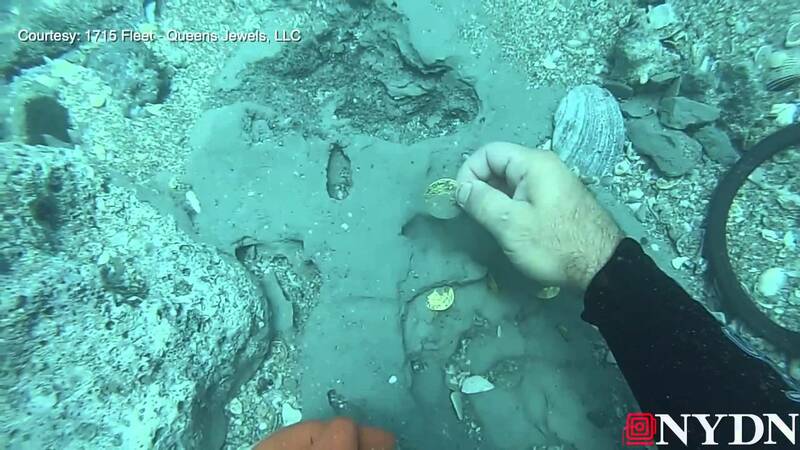 So why not learn about finding sunken treasure and actually treasure dive wrecks of the 1733 fleet of Spanish Galleons. Take advantage of this opportunity of a lifetime to learn from the experts while diving for sunken treasure in the Florida Keys. Spend the day with successful and world known treasure divers as they teach you about finding sunken treasure. The Sunken Treasure Workshop will be lead by Captain Carl Fismer “FIZZ”, Bradley Williamson & Marc Littleton Divemaster , having over 60 years of combined experience. You will learn about conducting treasure diving expeditions as well as how to find and recover lost Sunken Treasure. Your training includes actual hands on underwater classroom session and discussion. You will be SCUBA DIVING or SNORKELING on two wreck sites of a 1733 Spanish Galleon. Don’t miss this opportunity of a lifetime. Get more details here on ScubaWize.com or you can just go ahead and book your workshop by clicking here. Workshops are generally held on the third Saturday of each month. The class sizes are 4-18 people. Arrangements can be made for large groups. Get more details here on ScubaWize.com or you can just go ahead and book your workshop by clicking here. See next page below for a video review about the Diving For Sunken Treasure Workshops held by ScubaWize.com in the Florid Keys . My teacher has a shop in the keys. He has found alot of coins. Lynn carlson can show you how to do it. My understanding from talking to several divers who did workshops ( might not have been same place ) is that they have no rights to the “treasure” they find.